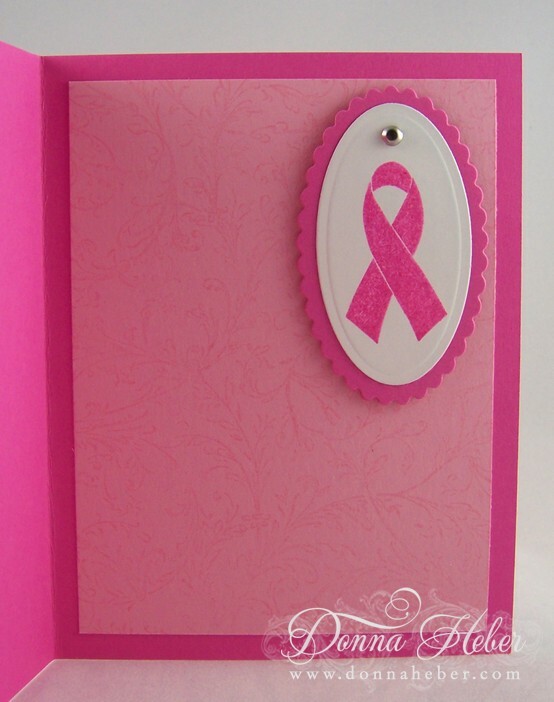 The card I am posting today is to celebrate “Breast Cancer Awareness Month” and these cards will be going to those I know who have fought back against the disease. This card is beautiful! It will be greatly appreciated by the recipient. Just beautiful Donna! And just a worthy cause! God Bless you! 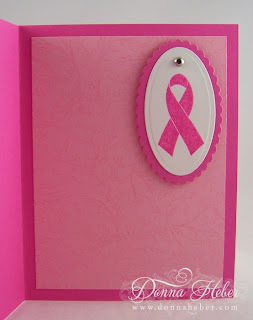 What a lovely idea and card. Anyone that receives one of these cards will know they have someone who really cares for them. Simply gorgeous Donna! Wonderful job with your blender pen! Have a great day! 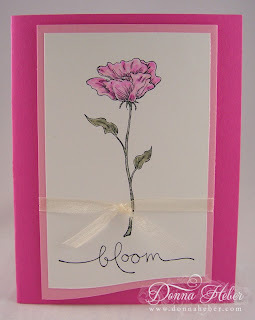 What a lovely card, so very perfect! Nicely done!